If your energy bill is running higher than you’d like and you can’t figure out the reason why, it may be time to reevaluate your fridge situation; yes, your fridge. That big ice box keeping all your fruits and veggies fresh and your favorite beverages chilled is actually one of the most energy-hungry appliances in your home. 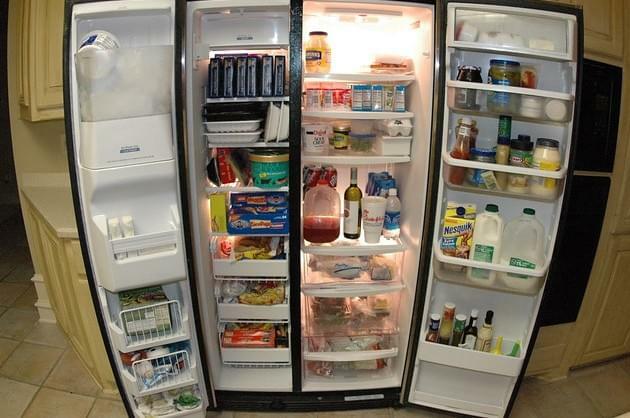 To understand why your fridge needs so much energy, it helps to know a bit about how it works. A refrigerator relies on several different parts to maintain a cold temperature, such as a condenser and an evaporator – each requiring electricity. There are various ways in which your fridge’s efficiency can begin to break down and eat up more energy. For instance, gaskets that stop cold air leakage can wear out or the thermostat can get stuck closed and release too much cool air. If you’ve noticed that your fridge isn’t running as smoothly as it used to, then it could be time to replace it. Upgrading to a more modern and energy-efficient refrigerator can offer benefits beyond fresher food and drinks; you could also see significant savings. This is especially true if your fridge has been around for a long time. More than 60 million refrigerators in the U.S. are over a decade old, costing consumers $4.4 billion in annual energy costs. The good news is that taking action can help you cut costs. When you recycle your old refrigerator and replace it with a new energy-efficient model, you could save more than $100 a year on electric costs. Moreover, you’ll be helping Americans to cut energy costs by more than $800 million and prevent more than 14 billion pounds of greenhouse gases; that’s equivalent to taking 84,066 tanker trucks’ worth of gasoline off the road. If you’ve been putting off upgrading your refrigerator to avoid disposing of it, that’s understandable. But Ameren Illinois is making the entire process easier and more cost-efficient. If you want to replace your old fridge, Ameren will reward you with a $50 rebate, provide free pick up and haul away your old appliance.